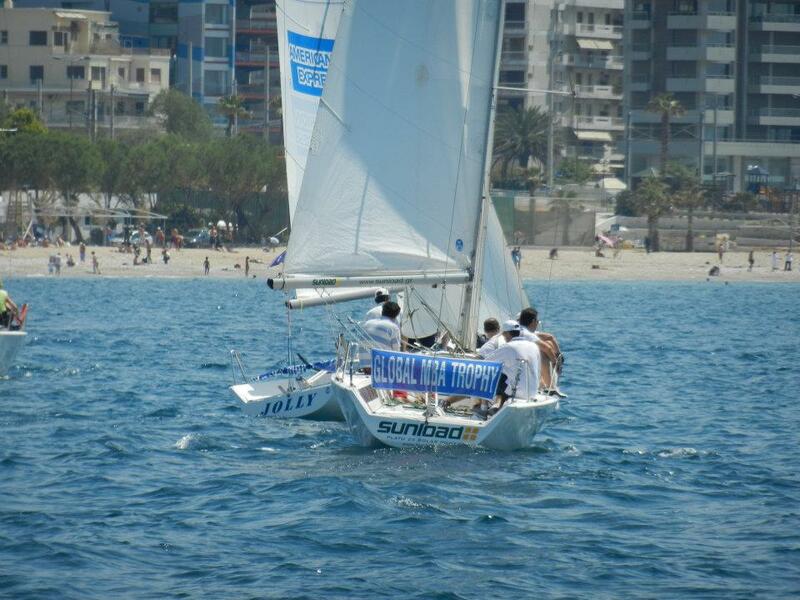 The team from SDA Bocconi sailed away with the Global MBA Trophy in Piraeus, (Athens) Greece. The regatta was sailed for the first time in one – design sport boats, the Platu 25, provided by the Platu 25 Class association, rather than the cruising boats usually used. The boats are normally sailed by their owners or by professional sailors on the match- racing tour, and were challenging and great fun to sail. Bocconi spent the regatta at the head of the fleet along with the boats from MIP and INSEAD: The three shared the first three places in all six raceswith Bocconi’s four first places and a third sealing the win with 7 points. INSEAD and MIP both ended the regatta on 10 points with 3 seconds, a third and a first. MIP getting second place on countback by coming second in the last race. LBS and Warwick battled it out for 4th and 5th place, with Warwick winning the battle on countback. RSM brought up the rear. In Division B, which were all Bavaria 42 cruising boats with gennekers, LBS won the regatta controversially, after winning protests against MIP and the University of Athens for poling out their genoas with boathooks. LBS won with three first places a second and a fourth, despite being disqualified for hitting the committee boat in race 1. AUEB came in second with a win and four second places. MIP were third.